Prime Minister Viorica Dăncilă affirmed Romania will do its utmost and take necessary steps so that the free trade agreement and investment protection agreement between Vietnam and the European Union would be signed and ratified soon. She made the statement at her talks with Vietnamese counterpart Nguyen Xuan Phuc in Bucharest capital on April 15. 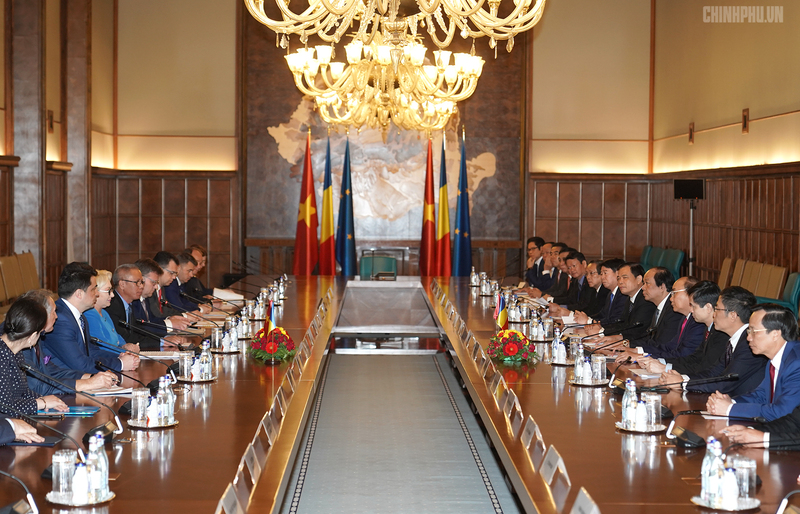 At the talks, the two Prime Ministers expressed their pleasure at the fine development of the traditional friendship and multi-faceted cooperation between Vietnam and Romania over the past nearly 70 years since the two sides established diplomatic relations in 1950. 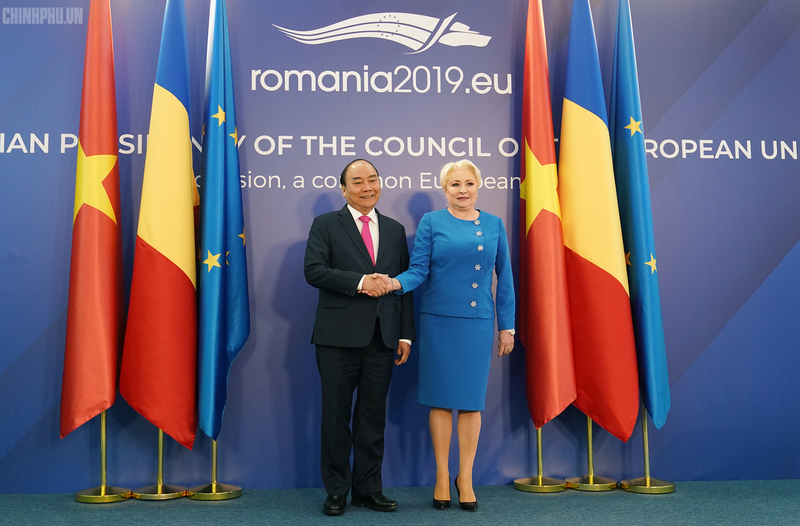 Dăncilă reiterated Romania attaches importance to the relationship with Vietnam and spoke highly of Vietnam’s achievements in socico-economic development, international integration as well as its rising role in the region and the world. Phuc extended congratulations to Romania for having taken over the EU’s rotating presidency in the first six months this year, expressing his belief that the European country will successfully complete its role. The pair exchanged on a wide range of measures to further foster bilateral cooperation across fields as they shared the view that cooperation potential remains vast. The two PMs agreed to strengthen exchange of delegations at all levels and effectively operate the existing cooperative mechanisms like the joint commission on economic cooperation. They agreed that the 16th meeting of the joint commission will be held in mid-2019. Both sides agreed to actively prepare for the celebration of the 70th founding anniversary of the two countries’ diplomatic relations in 20202 and work together to develop a cultural cooperation program for 2019-2020 period. Regarding multilateral cooperation, both sides committed to beefing up cooperation at international for a and organizations, including ASEM, ASEAN-EU and the United Nations. The pair underlined the importance of maintaining peace, security and stability for cooperation and development, settling differences and disputes through peaceful measures in accordance with international law, the United Nations Charter and the 1982 United Nations Convention on the Law of the Sea (UNCLOS). Phuc took the occasion to invite Dăncilă to make an official visit to Vietnam and the latter accepted the invitation with pleasure. After the talks, the two leaders witnessed the signing of a Memorandum of Understanding on bilateral cooperation in agriculture, veterinary and food safety. The same day, PM Phuc also attended Vietnam-Romania Business Forum in Bucharest capital.